Renowned architects Foster + Partners are set to give the historic Snowdon Aviary a bold new makeover – as ZSL London Zoo appoints the firm to revamp the pioneering model of British architecture. A grade II* listed building and one of the Zoo’s most famous structures, the Aviary celebrated its 50th anniversary in 2015 and stands proud and visible from the nearby Regent’s Canal and Primrose Hill. The new exhibit is set to be transformed into a walk-through colobus monkey enclosure, which will give visitors a unique and up close experience of the stunning primates. Inspired by the graceful movements of flying birds, the Snowdon Aviary was truly unique for its time; conceived by Lord Snowdon and realised by architect Cedric Price and structural engineer Frank Newby, when the exhibit opened in 1965 it was Britain’s first walk-through aviary. It’s a symbolic appointment for the role, as Lord Foster of Foster + Partners is famed for his ambitious and daring designs, which are often compared to the megastructures imagined by the exhibit’s original architect, Cedric Price. ZSL’s Zoological Director, Professor David Field said: “ZSL London Zoo has a long history of leading the way in architecture and design and has many listed buildings that have stood the test of time. Norman Foster, Chairman and Founder, Foster + Partners said: “We are honoured and delighted to be working on the redevelopment of the Snowdon Aviary – a rare example of a completed work by Cedric Price. I also have a particular personal affection for it as it shows most strongly the influence of our mutual friend and mentor Buckminster Fuller. Earlier this year international conservation charity the Zoological Society of London (ZSL) secured the first stage of a Heritage Lottery Fund (HLF) grant for the initial research and planning phase of modernising the Zoo’s iconic Snowdon Aviary, and to use the new space to interact with new audiences and school children. ZSL intends to use this support from National Lottery players to develop plans to rejuvenate the innovative structure, creating a new primate habitat and allowing future visitors and school children to get even closer to the amazing animals at ZSL London Zoo. The total cost of the project will be £7.1 million. 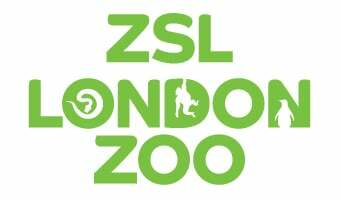 ZSL is currently offering a range of sponsorship opportunities to enable the build and run all associated activities for five years. To donate and keep up to date with the project, visit www.zsl.org/restoration-of-the-snowdon-aviary.